5 Best Restaurants for Outdoor Dining in Boston! Spring has finally sprung here in Boston! Temperatures are rising, flowers are beginning to bloom and trees are budding. 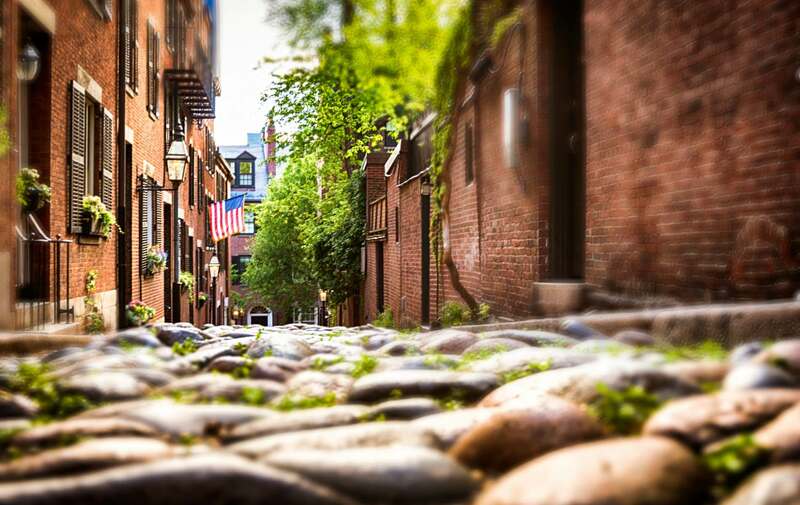 While strolling through the South End and other fabulously charming neighborhoods, stop and have a bite to eat outdoors! From right here in the South End, to across town in the North End, the options never fail to impress! The Beehive here in the South End offers a Mediterranean spin on its dishes that are full of flavor and their cocktails are sure to please. With live music and a fun Bohemian atmosphere, this is the place to unwind and relax. Eastern Standard in Kenmore Square has one of the best bars in the city. The culinary delights offered by their kitchen are just as extraordinary. Why not amplify it all by sitting out under their maroon awning and watching the hustle and bustle of Kenmore Square? Pop in for a pre-game drink on your way to Fenway Park or come on back for a post game celebration! Ristorante Fiore in the historic North End has two different outdoor options! Sit at street level in their gated patio looking out to Hanover Street or head up to the roof deck for their lounge and bar. Watching the sun set from the roof is the only thing better than the food at Fiore’s. Stephanie’s on Newbury Street is the queen of all patio’s. Sunday brunch outside on Stephanie’s patio is simply to die for. Build your own Bloody Mary or sample their Executive Mimosa with champagne, Grey Goose L’orange vodka, Cointreau and fresh squeezed orange juice on the rocks. Craving that Boston sea breeze while you dine? Have a seat at Rowes Warf Sea Grille at the Forbes 5 Star Boston Harbor Hotel. Chef Daniel Bruce, the mastermind behind the Boston Wine Festival, puts on an impressive menu for hotel guests and Boston locals alike. Try the Sushi Grade Yellowfin Tuna Nicoise salad or just enjoy afternoon tea. The sounds and sights of the Boston harbor will surely create a peaceful ambiance under the glorious spring sun. After you’ve had your fill of dining Al Fresco, mosey on back to your favorite boutique bed and breakfast here in the South End. Take a relaxing walk along the cobblestone sidewalks and pear in to the many shops and art galleries that litter the neighborhood. End your day with a lovely glass of wine on our roof and watch the sun set from the warmth of our bubbling hot tub! This entry was posted in Uncategorized and tagged alfresco dining boston, boston bed and breakfast, boston boutique hotel, boston south end, eastern standard, outdoor dining, Ristorante Fiore, Sea Grille, spring, Stephanie's on Newbury, The Beehive by admin. Bookmark the permalink.